Italy’s populist leader has vowed to fight the European Union and rescue Europe from the evils of globalism. 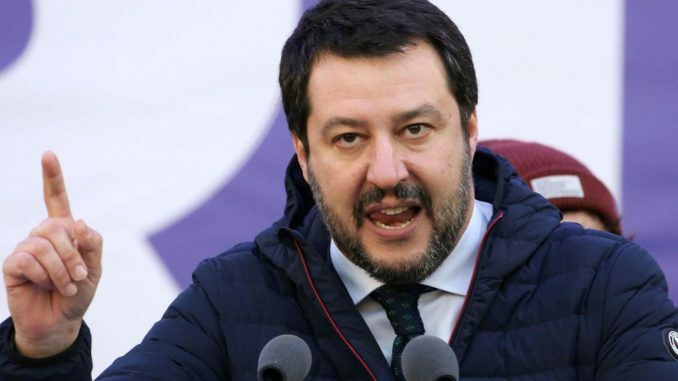 Speaking at a press conference this week, Italian Deputy Prime Minister Matteo Salvini declared that the EU must quickly change its laws and regulations to give “a sense of self-respect” and sovereignty back to individual countries. Sputniknews.com reports: “Neither I, nor our government, has any plans to leave the European Union, but there is a conviction that it is necessary to change its laws and regulations in order to remain a member of the European community with a sense of self-respect and dignity”, Salvini said in response to a question from Sputnik. Salvini: Yes, obviously, the reality is stronger than propaganda. You can hang EU flags on the balconies, but what kind of Europe is that? One that with the Bolkestein directive (the Internal Market Directive 2006/123/EC on the laws of the single market — ed. note Sputnik) jeopardises 300,000 jobs, and with the European standards for agriculture and fishery — millions of jobs? One that is imposed on us by the Fornero law (“Fornero” law — 2011 pension law, extremely unpopular in Italy — ed. note Sputnik), one that tells us that Italy cannot reduce taxes, one that did nothing to help us with the migration issue? My main goal is to save Europe, a renewed Europe, and Lega will do that. We are being called Eurosceptics, sovereigntists, populists, Nazis, fascists, racists, xenophobes, homophobes, and so on and so forth. But it is we who will pour healthy blood into Europe’s arteries again. Today, I have scheduled the first week of April for the first public conference to discuss what our idea of Europe is for the next 40 years. We will discuss these ideas with those of our allies with whom we plan to meet in Parliament in Brussels in July. Sputnik: How do you plan to develop relations with great powers such as China and Russia?